Transaction risk management is not only concerned with achieving the most favourable cash flow. It is also aimed at achieving a definite cash flow. Invoicing in local currency: Arrange for the contract and the invoice to be in your own currency. This shifts the exchange risk from you onto the other party. This might not be agreeable to the other party so negotiations will have to be undertaken to agree who bears the risk and to what extent. It is also advisable to agree who bears any transaction fees as this could add up to a reasonable sum for a regular customer/ supplier. Netting: If you have customers and suppliers in the same foreign country, then you can net off one against the other. For instance, if you owe suppliers €15,000 and a customer owes you €20,000, then the net exposure is €5,000. If you pay the supplier at the same time you receive money from your customer, the exchange exposure is restricted to €5,000. Matching: If you have a sales transaction with one foreign customer, and then a purchase transaction with another (but both parties operate with the same foreign currency) then this can be dealt with by opening a foreign currency bank account. This can only work if the timing of inflows and outflows are within a short period of each other as it not often not feasible for businesses to keep the cash for long periods of time. Leading and lagging: This is really a gamble based on ‘gut feel’ or ‘hunch’. Leading is when a business anticipates that a foreign currency will strengthen against your home currency. It therefore buys this foreign currency in advance. I exchanged £2,000 into Euros just over 2 years ago when the exchange rate was £1:€1.4. Since then, Europe has been my holiday destination of choice as I have the Euros but most importantly I don’t have to worry about the adverse exchange rate I would get if I had to convert now (£1:€1.1). This was not based on any science and it could easily have gone the other way and I would not be as happy sharing the story with you! Lagging is the exact opposite. Lagging is when a business anticipates that a foreign currency will weaken against your home currency. If I had thought the Euro would have gone in my favour, then I would have delayed buying Euros until the point I was actually going on holiday. If that was the gamble I had taken, then, my holiday to Europe would be more expensive as I would have lost the gamble. Forward exchange contracts. A forward exchange contract is a binding agreement to sell (deliver) or buy an agreed amount of currency at a specified time in the future at an agreed exchange rate (the forward rate). Money market hedging: A UK manufacturer exporting to the US is due to receive US$2m in three months time. However, the business does not have any US$ liability to settle. What it can do is to create a liability that will soak up the US$. It can do this by creating a US$ liability by borrowing US$ now. Then then repaying that in three months with the US$ receipt. Currency futures and options: These are often used to mitigate currency risk. Currency futures are items you can buy and sell on the futures market and whose price will closely follow the exchange rate. Options are different – they give the holder the right but not the obligation, to buy or sell a given amount of currency at a fixed exchange rate in the future. The right to sell a currency at a set rate is a put option; the right to buy the currency at a set rate is a call option. Economic risk is caused by the effect of unexpected currency fluctuations on a company’s future cash flows and market value. The impact can be substantial. Unanticipated exchange rate fluctuations can greatly affect a company’s competitive position. Even if its exposure is restricted to domestic markets. For example, a UK manufacturing company still has to contend with cheaper imports from Asia, which may get cheaper and thus more competitive if the sterling strengthens significantly. Have customers and suppliers in the same overseas company. Have a bank account in that currency and invoice your customers in the foreign currency. Get them to pay in currency which you can then use to pay the supplier in the same currency. Make your goods in the country you sell them. Although raw materials might still be imported and affected by exchange rates, other expenses are in the local currency and not subject to exchange rate movements. 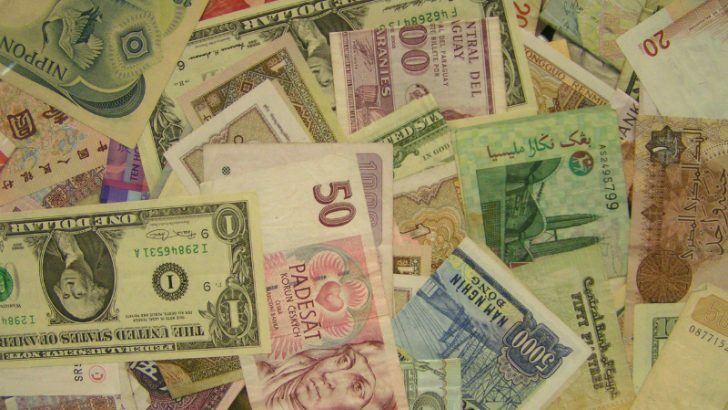 As the world becomes ‘smaller’ and dealing with overseas customers and suppliers becomes the norm, it is inevitable that businesses of all sizes will have to address foreign currency issues. It is good to start planning how it affects your business and to consider what policies you have in place to mitigate the risks. Larger companies have finance teams to deal specifically with foreign currency transactions. Smaller companies do not have the luxury due do budgetary constraints. Yet, to remain competitive, they need to pay just as much attention to currency fluctuations. We would therefore recommend expert advice should be sought. Either from your accountant who may be able to help you. Alternatively they should point you towards a foreign currency specialist depending on the complexity.